A Caryll rune that transcribes inhuman sounds. "Writhe" sees a subtle mucous in the warmth of blood, and acknowledges visceral attacks as one of the darker hunter techniques. Visceral attacks restore Quicksilver Bullets. Human or not, the oozing blood is a medium of the highest grade, and the essence of the formless Great One. Both Oedon, and Oedon's inadvertent worshippers, surreptitiously seek the precious blood. Oedon Writhe is a Caryll Rune in Bloodborne. Visceral Attacks grant Quicksilver Bullets. (+1) is obtained by killing Adella the Nun at Hypogean Gaol or sending her to Oedon's Chapel and killing her there. A second method is to send her to Iosefka's Clinic and collecting the heir rune from a kin. When you manually pick up bullets off of corpses and are already at the maximum capacity any extra are sent to your storage. (standard is 20 bullets max) The rune, Oedon Writhe, does not send extra bullets to your storage. The rune only grants bullets if your current bullet capacity is less than the maximum. For those skilled in gun parries, using the Blood Rapture rune as well will let you replenish health, while also replenishing bullets with Oedon Writhe. Stacking the two from Adella and Iosefka or having all three runes allows you to replenish up to 3-6 Quicksilver Bullets per Visceral Attack, extremely handy for both Firearm and Arcane build, it even has the potential to recharge the Cannon. Chalice Glyph: 27fe7wh7 - Ehik123 on Reddit reports finding the +3 rune in the Fetid and Rotted dungeon. The rune is located in between the dungeon's Chamber of the Seal and the door to Layer 1. This glyph is still active as of December 1, 2016. Chalice Glyph: 9vb3tzza (Layer 1 pre-lantern). Pre-boss area also has Clockwise Metamorphosis +15% rune. Anyone got a glyph for the 3rd rune? You could still obtain +1 rune by killing Adella even after you send her to Cathedral Ward. If you feel like being a cheeky cheater (no judgement), you can kill fake Iosefka before the Blood Moon, then make sure that you do NOT pick the rune up. Run back to the Forbidden Woods, and immediately run back to Iosefka&apos;s Clinic. This causes another copy of the item to appear, and you can do this 1-2 times depending on how many copies of the rune you want. You can recover 7 bullets from a visceral if you equip two tier 2 runes and the tier 3 rune. You can actually do this with a lot of items (Willem eye rune, wandering madness drops). You just need to run to a different area, and run back to the area you left, forcing a reload. For even more cheating, you can use the chalice seed "jgn2jkkw", and you only need to have a Pthumeru depth 1 root chalice made. The rune is in the first bonus area, and there is also a tier 3 Clockwise room in the bonus area before the boss. It says it&apos;s a depth 1 chalice, but it&apos;s actually a depth 5, so be careful. There&apos;s a false depth chalice that you can access with the first pthumeru root chalice, super early game, by zullie the witch. It kind of feels like cheating though, because it really is. Robs you of the satisfaction and sense of accomplishment when earning it legitimately. But if you really need it, it&apos;s worth looking into. Communion +5 in found in Chalice Glyph: hud4yhr6 Also, the highest level Oedon Writhe is in the same dungeon. First optional room in Layer 1 (before the lamp). STILL WORKS JANUARY 14TH 2017!! 1 Amazing RUNES in a short layer 1 run! Oedo ln Writhe +2 and Clockwork Metamorphosis 15% !!! Thank you!! 27fe7wh7 It&apos;s a Pthumeru Ihyll Root Chalice with Foetid and Rotted offering...in Layer 1 in a coffin. Obtained by killing the lady in white inside the clinic. Had the +2 version of the Oedon Writhe rune equipped along with a Moon rune and a Clawmark rune while fighting Gascoigne and I was getting up to 4 or 5 bullets back per visceral attack. 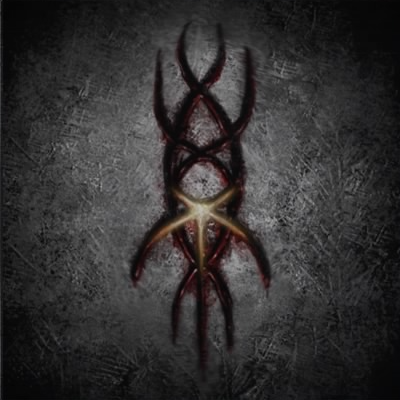 The +2 rune (or +3 if you can manage to get it! ), paired with the Blood Rapture runes (+300 & +250!) make visceral attacks a force to be reckoned with! Restoring 550 health, which is just under a Blood Vials healing amount, and getting 1-2 bullets for free! Fighting easily parried enemies is amazing! I went through Central Yharnam eviscerating everyone, started with 2 bullets ended up with 20 +24 in storage! Used +2 version against the living failures and It would almost always give me however many bullets needed to reach my max. At one point I got 9 from one visceral attack against a living failure.